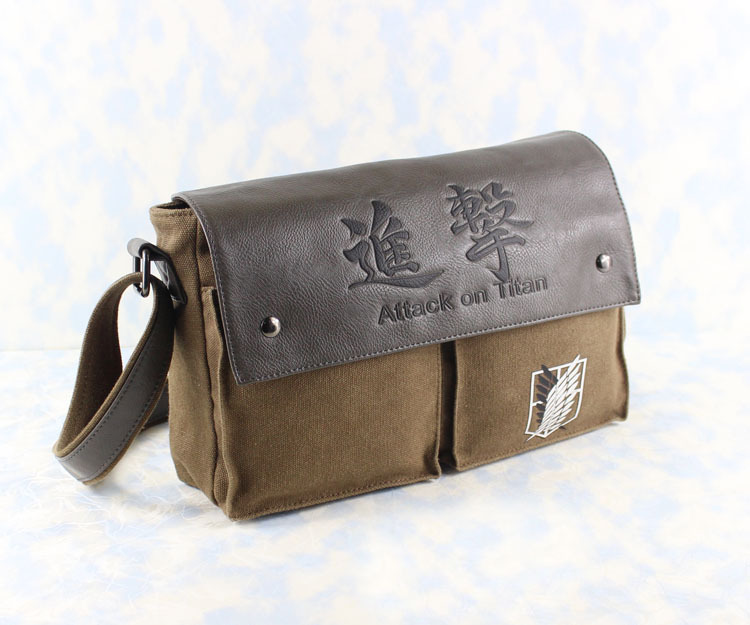 Ring in the New Year 2015 with these super awesome Attack on Titan canvas bags! 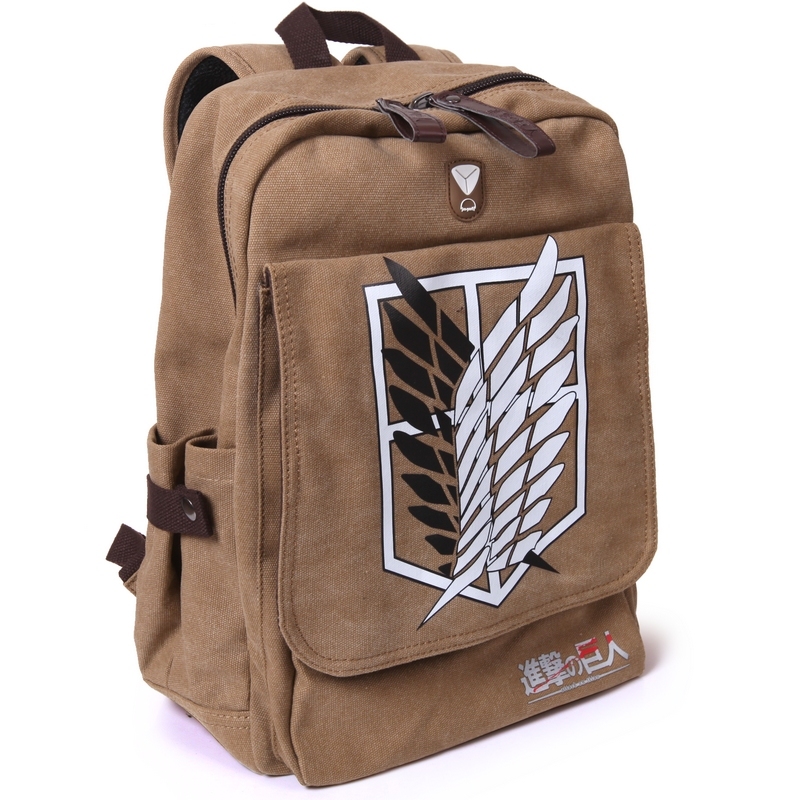 The stylish 12" X 8" satchel messenger is just perfect for carrying your iPad or your current manga. 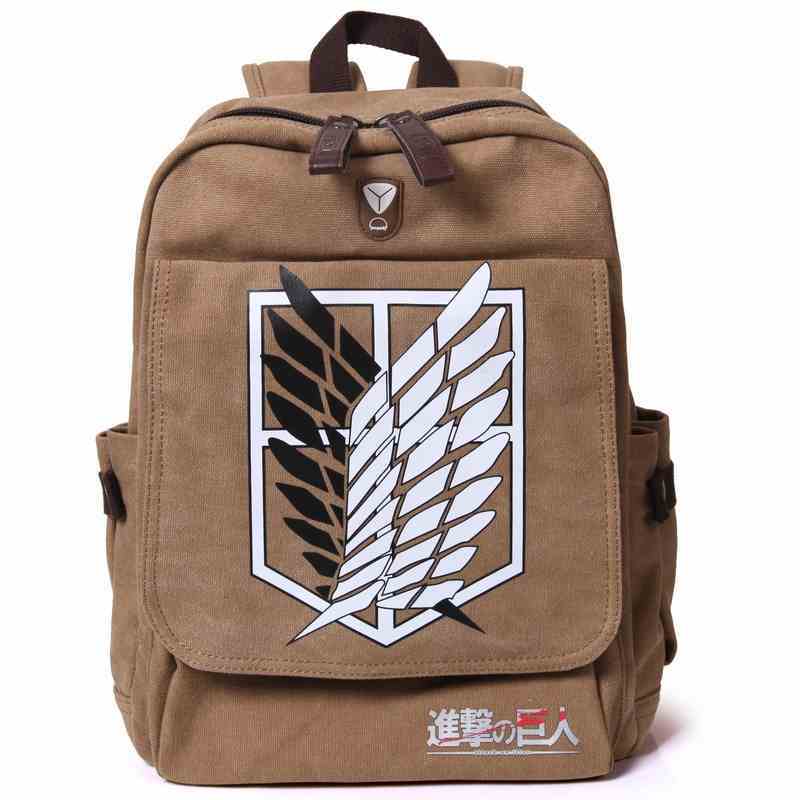 The larger backpack features plenty of room for all your stuff and proudly displays the Scouting Corps' insignia -- the Wings of Freedom -- mankind's final hope. 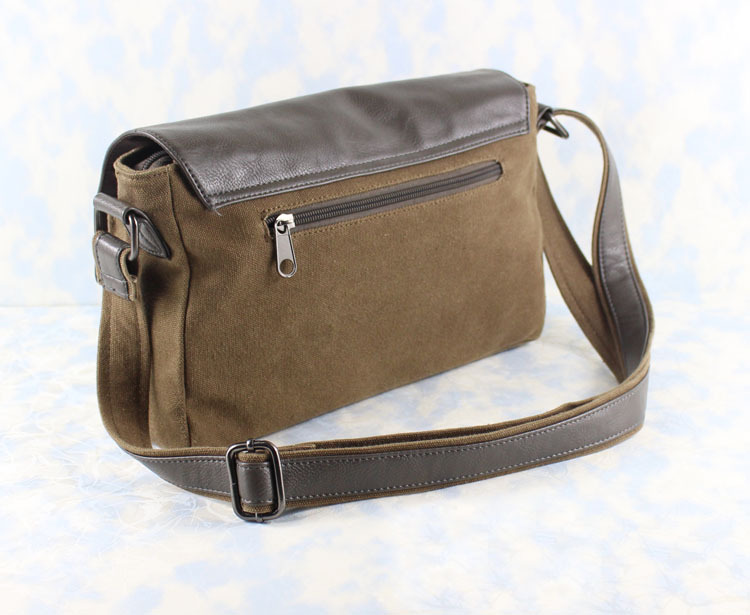 Each bag is meticulously constructed and beautifully designed to make going back to school as exciting as ever!